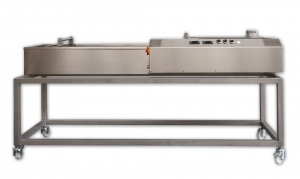 The bmTEC fryers are all equipped with an external heating system, located underneath the shortening tank. This allows for precise control of the heat. Furthermore, this also means that 40% less fat is needed so less fat is heated, thus reducing your energy costs. 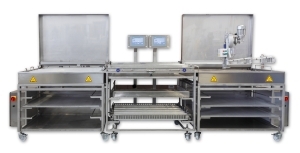 The heating system is controlled by two temperature sensors which enable more precise regulation of the temperature. 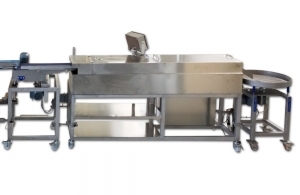 Cleaning the equipment is relatively simple as the shortening can be drained through an outlet. 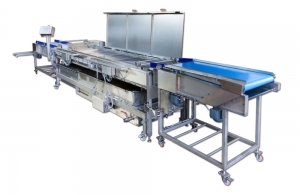 If the products need to be glazed after they have been baked, we can also provide a cooling zone and a glazing unit. 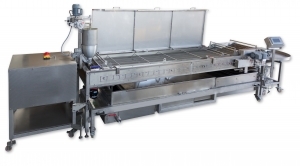 The FB MULTI TALENT is a single solution for semi-automated frying/baking. 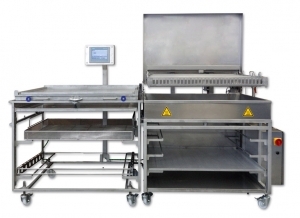 The FB MULTI TALENT DUO is a dual solution for semi-automated frying/baking.